Dodge Neon was created as a compact passenger car by Chrysler in 1995. The Plymouth Sundance and Shadow were close to ceasing production and Chrysler needed a new go-to car. The Neon was created and it served the needs of the driving public well. The 2.0 and optional 2.4 engines were created for installation into the Neon. Both single and dual overhead cams were produced to give buyers the options they wanted in a great 4-cylinder engine. We have rebuilt Dodge neon engines at prices that are more than affordable. Get the price you need with our remanufactured engines. Don’t buy used when rebuilt is so much cheaper. Chrysler marketed the Neon to the Dodge and Plymouth sides of the company. Chrysler knew that buyers appreciated the two-door styling of the Neon as well as the excellent fuel economy. Nearly 150 horsepower was given with the base model 2.0 engine. This was unheard of at this point in time as engine makers were reducing power to save gas mileage. If there is one thing that Chrysler does great it is build engines. The Jeep brand has always survived in part due to great engine building. We don’t let Chrysler lovers down with a rebuilt engine for sale here. There is no secret to the way engines get rebuilt here. There are some sellers that claim they can do things to an engine to make it better than OEM. That might be true but the 2.0 and 2.4 OEM specs are written by Dodge for a reason. This is what all builders are supposed to follow. Our engine experts are the very same ones that are responsible for buying the used engines we rebuild. It is the recommendations that these experts make that help us get the right levels of inventory for customers. Knowing exactly how to make a used engine purchase is one of the successful keys to a rebuild. Starting with engines that are low in mileage helps out a great deal. A Dodge Neon engine in 2.0 or 2.4 displacement is great when it is new. We feel that the quality of each build that we do rivals that of a Chrysler build. We follow the precise instructions given to us. We also do a range of mechanical and digital tests to prove all of the specs correctly. 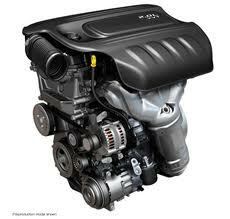 A 4-cylinder engine is not as complicated as a V6 or V8 but it still has delicate parts. Our engine rebuilders know what to do when assembling and disassembling each Neon engine. What comes out of the engine building shop is nothing short of a completely perfect engine. These engines are genuine in looks, performance and in quality. The form you can find on this very page is what our quotes are generated with. Our Neon engine quotes are linked right with our current inventory levels. We know just what is on hand and what is not. The pricing is 100 percent accurate. Try the form right now. It can be used 365 days a year. Give us a call toll free at 1-877-630-3873. We always answer fast.